Inspired by the luxurious interiors of the Art Deco era, this stylish design showcases the beautiful materials used to create it. 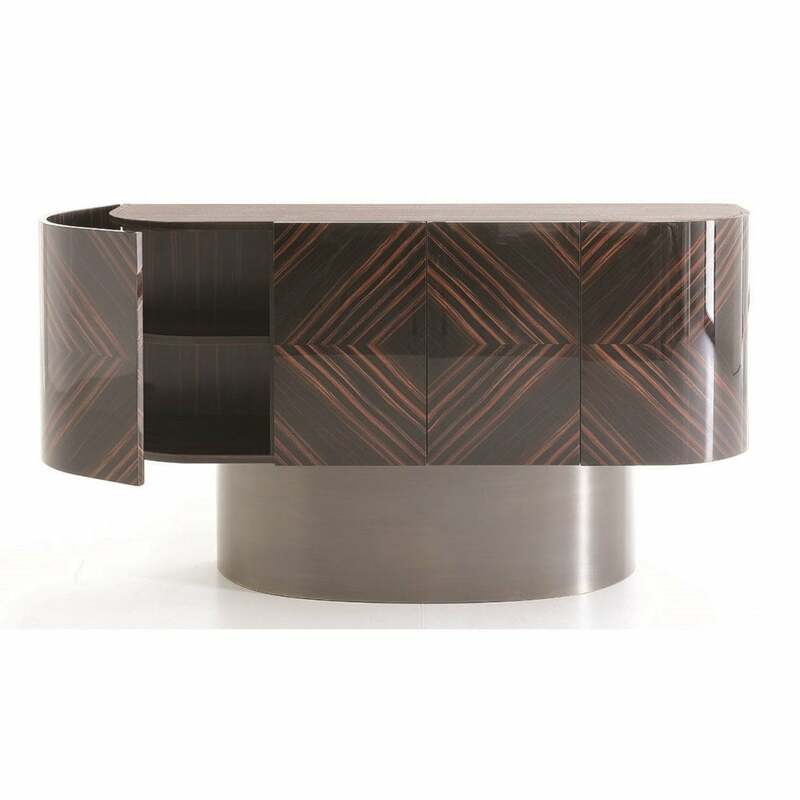 The Epoque Sideboard by Rugiano features a curved rectangular frame crafted from the finest ebony wood. The high shine wood and striking grain contrasts beautifully with the matte lacquer interior, leather upholstery and metallic base. Choose from either chrome or bronze to suit your furnishings and fittings. Combining both form and function, the Epoque Sideboard provides plenty of storage for you best tableware, glassware and accessories. Epoque will bring a touch of glamour to any dining room interior, traditional or contemporary. Available in a range of finishes, make an enquiry for more information.